An oddball family of employees at supersized megastore Cloud 9 tackles the day-to-day grind of rabid bargain hunters, riot-causing sales and nap-worthy training sessions. From bright-eyed newbies to seen-it-all veterans, bumbling seasonal hires and in-it-for-life managers, they're all going to get through another day -- together. Starring Nico Santos as ambitious Mateo. Asian Action Collection: Jackie Chan stars as a humble businessman with a buried past who seeks justice when his daughter is killed in an act of terrorism. A cat-and-mouse conflict ensues with a government official, whose past may hold clues to the killers' identities. Xfinity On Demand gives you everything you’re looking for all in one place. Watch your favorite movies and TV shows at home or on your mobile devices with the Xfinity Stream app. 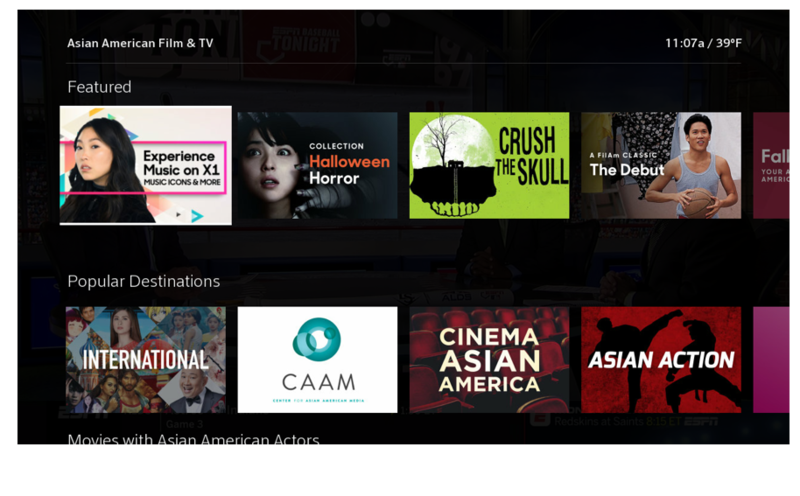 X1 allows you to access the entertainment you love, plus with smart recommendations, discover new and exciting content with the click of a button. Check out this collection of infamous director Hirokazu Koreeda's best films. From Cannes to Sundance Film Festival, Korean cinema has been greatly represented over the last decade. Check out this collection of dynamic films from South Korea's greatest directors. Xfinity xFi gives you the speed, coverage and control you need for the ultimate in-home WiFi experience.